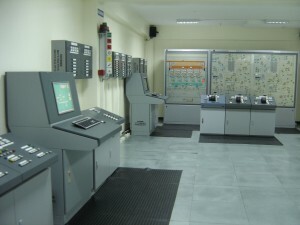 Dedicated to its mission of providing the Filipino seafarer truly world-class education, the Maritime Academy of Asia and the Pacific (MAAP) along with the AMOSUP Seamen’s Training Center (ASTC) continue to add to their wide array of equipment and facilities to complement their expanding course and program offerings. • Instructor Station – optimizes the ability to crate, edit and save exercises as it employs the latest logic-based exercise scenario-editing tool. It can configure the system to support each student or trainee while performing the exercises and has the ability to access any of the stations to monitor, assess and control student or trainee performance. 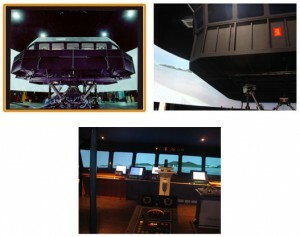 • Full-Mission Motion Bridge Simulator – a moving platform simulator complete with motion cues that include realistic sound effects, engine vibration, wave and swell impact. 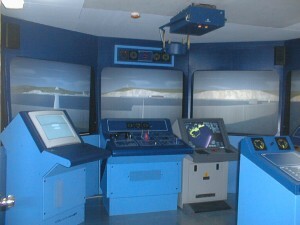 • Secondary Bridge Simulator – used to perform real time scenarios, it consists of a control panel that includes gyro compass, conning display, RADAR/ARPA and ECDIS. 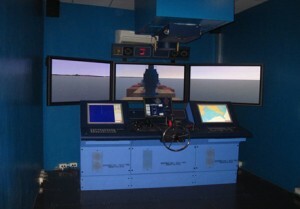 • Desktop Bridge Simulator – contains 10 desktop entry-level bridges to aid students and trainees in their familiarization with on-board navigational system functions and the use of the RADAR/ARPA and ECDIS. • Full Mission Engine Room Simulator – comprised of LOLS stations, alarm panels and mimic panels with an engine control room that has the latest ECR stations, it provides the most realistic engine room simulation experience available today. 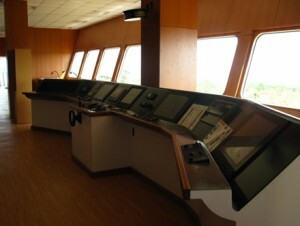 • Integrated Bridge System (IBS) – a combination of interconnected systems that allows the control of navigation equipment in order to train students and trainees in handling a variety of bridge control operations such as communications, passage execution, safety and security. The MAAP currently offers three courses, namely, Bachelor of Science in Marine Transportation (Navigation), Bachelor Science in Marine Engineering (Engineering), and Bachelor of Science in Marine Transportation and Engineering (Dual Qualification). For details on criteria for qualification, application and examination dates, please visit www.maap.edu.ph.